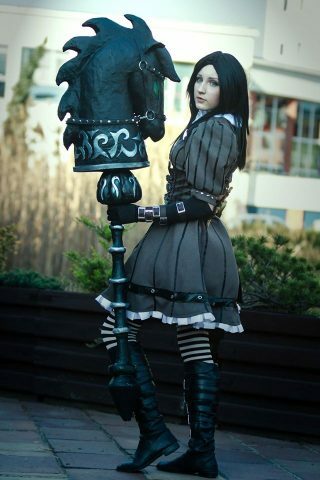 Alice: Madness Returns Cosplay « Adafruit Industries – Makers, hackers, artists, designers and engineers! The Alice Liddell in Alice: Madness Returns isn’t the one you’re used to seeing from the animated Disney film. She’s in Wonderland, but she’s fighting evil forces instead of eating cute foods. Juriet made a pretty faithful take on the character’s costume. She made the outfit and Alice’s weapons including the fierce hobby horse and vorpal blade. 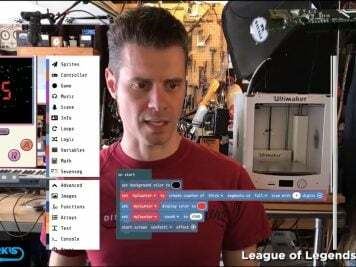 The hobby horse staff has glowing green eyes. 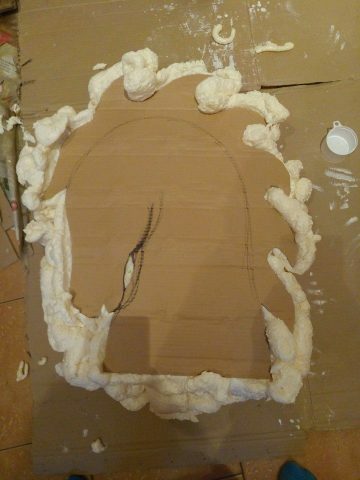 The base of the horse staff is cardboard covered in expanding foam. Juriet says she learned if she sprayed water on the foam, it made the substance fluffier. 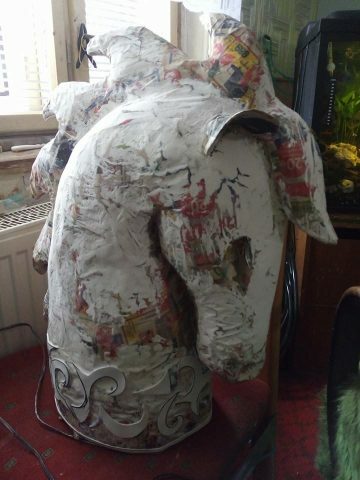 The head was then covered in paper mache and then putty to make the surface smooth. You can see a photo of the initial step below. You can see more pictures of the Alice cosplay at Facebook.